Located in South Burlington is 27.5 acres between the Burlington International Airport and the Winooski River. 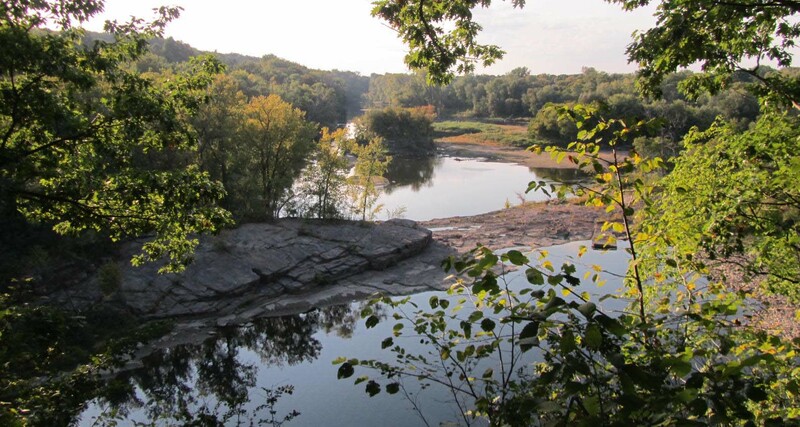 The Muddy Brook, which flows through the park, flows through open agricultural fields to the north and continues through dense vegetation and riparian forest to its mouth where it empties into the Winooski River. Land use planners and ecologists consider this tract of land valuable because it affords unfragmented, contiguous habitat for large ranging mammals such as deer, moose, bear and bobcat. It provides a linkage corridor that many mammals need to move through to other areas where they forage and mate. It also serves as seasonal and year-round home for a myriad of animal, bird and plant species. Muddy Brook’s Mouth as it empties into The Winooski River. It is noteworthy that this park protects several habitats: open land, wetlands, shrublands, shoreline and riparian forest. Because of the varied ecosystems, it is able to support many species. 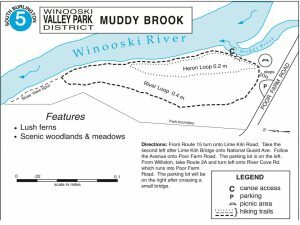 Neighbors of Muddy Brook have informally identified nearly 100 species of birds including Cooper’s hawk, as well as large and small mammals. 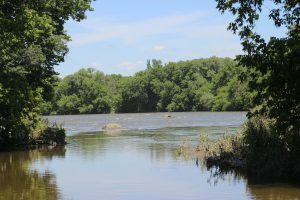 The Park District has constructed a loop trail about 1¾ of a mile long, which leads walkers along the river and back along the edge of the field to meet with the trail head. A wooden foot-bridge, fishing access and a picnic area in the forest are features that can be found along the trail.